The Christmas prize draw referred to in this post has now closed, but you can sign up to the monthly newsletter to be first to find out about any other promotions. 2015 is drawing to an end and I thought it would be interesting to find out what the most popular posts were this year. When I’m writing posts, I have plenty of ideas, but I don’t know which ones will end up being popular with my readers. In case you would also be interested, or you missed these posts earlier in the year, here are my top 10 blog posts this year! 10. What is a personal learning network and why do I need one? Learning alone can be lonely! This article explains how you can involve others in your learning. This is also available as a download from the tips page. This isn’t my usual type of post as it was written for teachers. It gives advice for working with blind students. This is also available as a mini audio course on the tips page. 6. What prevents us from speaking and what can we do about it? Speaking can be one of the more difficult skills to develop. Here is some information about common barriers to speaking a new language and how we can get over them. 5. Do you want to write a good CV and come across well in interviews? 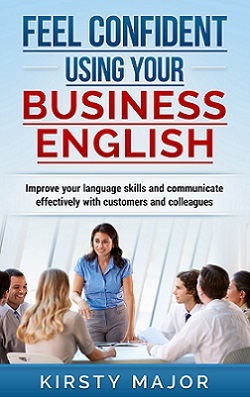 Many people want to improve their English so that they can apply for a new job. Here is information about writing CVs for English companies and what to do before and during your interview. A further 40 tips are available on request from the career page. What do you do once you’ve got past the greetings and introductions? Here I share from my own experiences as a language learner. I talk about my mistakes and how I put them right. Several articles on my blog are in German. This interview with Christine Konstantinidis was particularly popular. This is by far the most visited post on my page and I intend to create another one with ten further mistakes next year. It’s interesting that two of the top three posts were about mistakes. I can only assume that this is because people want to avoid making mistakes and I hope that the information I’ve shared will help them to do this. If you’d like to make sure that you find out about all new posts in 2016, you can subscribe to my monthly newsletter, where there is a round-up of all new blog posts and podcast episodes with direct links. If you’re signing up for the newsletter, why not also sign up for the Christmas prize draw, so that you’ll be in with a chance of winning some English training in 2016? Maisie the German shepherd encourages you to take part in the English with Kirsty Christmas prize draw! 1 x A 5-part writing course with individual feedback to help you improve your written English. 3 x A 15-part audio course to help you write better emails. Winners will be notified by email and announced in the English with Kirsty newsletter in January 2016.